Opal Silk Shawls and Scarves, hand painted wearable art. 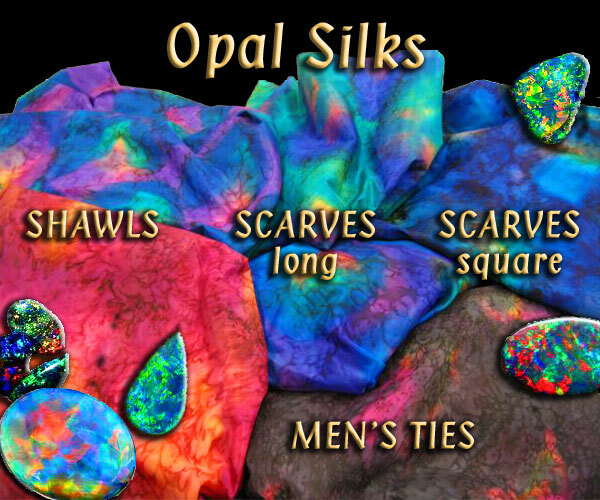 The rich colour mixes of Australian Opals are captured in these hand painted pure silk scarves. Colours range from deep blue, black, and fire opals through softer blues and vivid greens to the golds, rusts and pinks of the desert opals.